We have many years of experience conducting a broad range of trials at all our field stations from early stage nursery trials to variety registration trials and Plant Breeders' Rights observation trials. 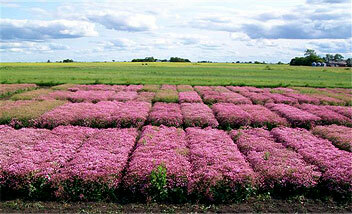 We have extensive experience with confined field trials in several crops under many different experimental designs. 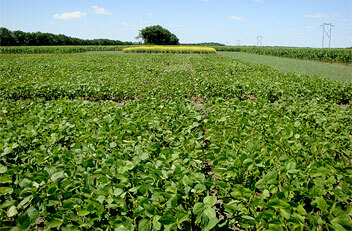 Additional crops, trial types and services are available. For information on how we can help you with your project, please contact Dana Maxwell. Replicated yield trials, at single or multiple locations. Other diseases and special methodologies are available upon request. Agronomic development work for new crops. An audited quality management system (QMS) is in place for production of breeder seed for all crops. We have significant experience in conducting confined field trials on plants with novel traits (PNT) in several crops. Our first priority for all confined field trials is to maintain compliance with the Terms & Conditions of the CFIA Field Trial Authorization for each confined field trial. Ag-Quest has developed standard operating procedures for managing confined field trials, and a full suite of forms for compliance and record keeping. We also ensure that all requested data is collected from the field trial to support your regulatory needs. Large and small field trials can be accommodated across our stations, and we can assist in protocol and notebook development services for confined field trials.